On February 14, 1989, Valentine's Day, Salman Rushdie was telephoned by a BBC journalist and told that he had been "sentenced to death" by the Ayatollah Khomeini. For the first time he heard the word fatwa. His crime? To have written a novel called The Satanic Verses, which was accused of being "against Islam, the Prophet and the Quran". So begins the extraordinary story of how a writer was forced underground, moving from house to house, with the constant presence of an armed police protection team. He was asked to choose an alias that the police could call him by. He thought of writers he loved and combinations of their names; then it came to him: Conrad and Chekhov - Joseph Anton. 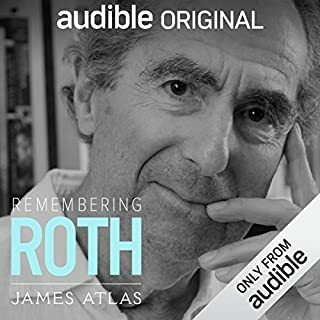 This audiobook includes a prologue read by the author. 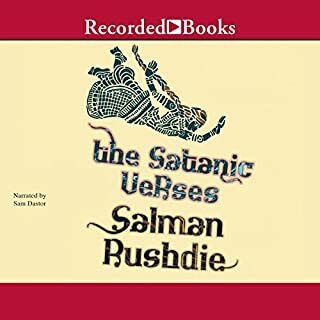 Salman Rushdie is known for his fiction (Shame, The Moor’s Last Sigh and others), but it was The Satanic Verses which forced him into hiding and police protection. His memoir, Joseph Anton: A Memoir, tells the story of his life with particular focus on his experience following the publication of that book. Frankly, I have never finished any of Rushdie’s works of fiction and parts of this book I had to work through as well. However, the effort was well worth it because of the insights he provides into why he was forced to go underground, the full defense of his book and its literary origins, and how he finally was able to get back a modicum of normalcy. Readers also learn what it was like on a day-to-day basis to deal with living under full-time protection and what it meant to his family, career, and self-image. The book has, for me, more detail and repetition than necessary, but the emotional effect was profound. I began to identify with Rushdie and the frustrations he faced. Rushdie uses third person to tell his story, but I’ll not give away why the book is titled Joseph Anton: A Memoir. If you have an interest in what happened to Rushdie, his take on why it happened, and who Rushdie became as a result – this book is for you. A key learning? Life is not linear and circumstances will change with time – good times can turn bad; bad days may well pass from view. The narration of Rushdie and Sam Dastor is very good. Joseph Anton is Rushdie's memoir of the years he spent, mostly in hiding, under the Ayatollah Khomeini's fatwa. The fatwa, which was announced on Valentine's Day, 1989, has never been officially revoked; in 1998, the Iranian government proclaimed that it would neither support nor hinder attempts to assassinate the author, but there is still a $3 million-plus bounty on his head. The title of the book is the name Rushdie assumed while in Scotland Yard's protection and is taken from two of his favorite writers: "Joseph" from Conrad and "Anton" from Chekhov. In a recent interview, Rushdie claimed that during this time he felt as if he was watching another person's life from a distance, a person separate from himself--hence the book is written in third person. It's hard to imagine what life would be like if you were forced to move at a moment's notice--dozens of times. To live with a squad of armed policemen (one of whom accidentally blew a hole through a wall). To be unable to visit a dying parent, have dinner with friends, attend a memorial or an activity at your child's school, or, as a writer, give public readings of your work. Rushdie details all of this, as well as his efforts to live as normal a life as possible. For this, he credits a cadre of trusted friends, including Christopher Hitchens, Paul Auster, Bill Buford, Martin Amis, Ian McEwan, and Bono, among others. Rushdie also engaged in a constant legal battle to get The Satanic Verses distributed worldwide in paperback format. Of course, Rushdie's personal life suffered during this time. His greatest regret is the difficulty the fatwa caused for his son Zafar, who was 10 at the time it all began. Although divorced from his first wife, Clarissa Luard, the two remained friendly and strove to maintain as normal a relationship as possible for father and son. Marianne Wiggins, his second wife, to whom he was married when the fatwa was pronounced, does not come off so well; in fact, the American writer is depicted as a selfish, self-promoting wacko. Rushdie met his third wife, Elizabeth West, the mother of his second son, while under protection. Initially, West seems almost saint-like in her patience and devotion, but this image falls apart as the marriage falters due to her depression over not bearing more children and Rushdie's desire to move to the US, where he felt he could live a more open, normal life. Wife Number Four, model, would-be actress, and reality show host Padma Lakshmi,is referred to as "The Illusion," and Rushdie rather shamefacedly admits to falling into a fairly typical mid-life crisis (homely older man, beautiful younger woman), as well as pursuing a somewhat elusive American dream that she came to represent. Lakshmi, like Wiggins, comes off as self-absorbed and ambitious (when he attempts to visit her in LA after a new threat has been announced, she says she is going on a lingerie shoot), and Rushdie makes short shrift of her. On the whole, Rushdie's memoir is insightful and engaging. If one thing is made clear, it is that he wouldn't have endured, had it not been for the love, help, and encouragement of his close friends, family, and associates. And it is this humanization of Salman Rushdie, more than his literary achievements or politicized position, that allows readers to relate to his plight. The reader, Sam Dastoor, was brilliant, with one caveat: his American accent, which never varied. Whether he was impersonating Bill Clinton, Kurt Vonnegut, George Stephanopoulos, or Susan Sontag, they all sounded like sarcastic cowboys. What about Sam Dastor and Salman Rushdie ’s performance did you like? I wish there were extra stars to give the performance of this book. Dastor didn't just narrate the book, he interpreted it. 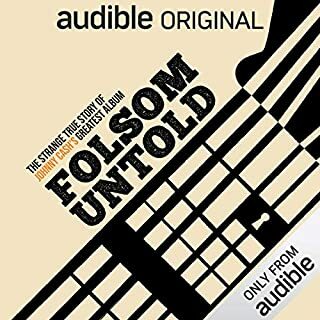 Of all the books I have downloaded from Audible, this was by far the finest performance of any book. It was incredible. Also, the book was really good too. Helps to have great material to work with. I was impressed with the warts-and-all honesty of the story. I don't think I would want to air all my secrets and lies and emotions during my biggest life's challenge. Not many people would, I expect. But Rushdie did, with admirable candor. I supported his cause and an thrilled he was able to get his freedom back. It's a travesty that it took 11 years to do so. Rushdie is a brilliant author (mainly novelist) and it’s a rare treat to read a memoir by someone who writes so well. I hesitated to review this book because my prose pale in comparison to those of Salman Rushdie. But this is such an extraordinary work that I feel compelled to share my opinion, even if clumsily. “Joseph Anton” is the story behind the story for those of us old enough to remember what happened. And for younger people, or anyone who cares about our constitutionally granted freedom of expression, it’s an important reminder of how easily that right can be taken away. Excellent Memoir of the Fatwa years. Excellent memoir of the fatwa years. Two things struck me about this book. First, life was predicably miserable while he was under the protection of MI5 for more than a decade after the flare-up with the Satanic Verses. Second, and most fascinating, is the support that he got from his network of author friends. Rusdie mentions at least 2 dozen authors from the second half of the last century who provided safe houses, letters of support, and more. Who knew that winning the Booker Prize (for Midnight's Children) put one in such an exclusive club. While the book is a quick read, it could have been shorter. I would have cut out a lot of the difficulties he had with his teenage son. I know I'd hate to have my own adolescent awkwardness set down for history. Narrated dutifully by Sam Dastor (whose American accents, sadly, were laughable). Salman Rushdie, writing his memoir in the third person, illustrates the relationships and values and mistakes and triumphs that characterized his response to the outrage of being a writer targeted by the Iranian fatwa. He writes about his loves and imperfections, his angers and the pain he felt at the frequent criticism (often distorted) in the British press as the Fatwa and the risk to his life extended on year after year. Vivid friendships with many notable writers, artists and musicians run throughout the text, and were the web that helped him and his family survive the emotional burden of maintaining security in face of repeated renewals of the threats against him coming from the Iranian government each year. 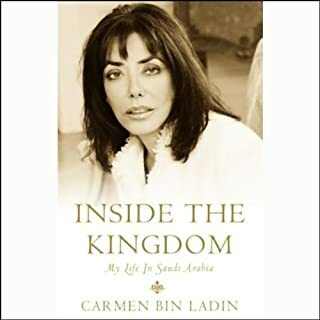 This is a memoir in which the multiple losses-- through divorce, death, estrangement, and personal vulnerability-- play next to the threat of violent death as the result of terror. Perhaps it is most moving when the 65 year old Salman writes to his 52 year old self that it is time to grow up. In this moment, he remembers some of the most painful (and unfortunate) choices he made and faces them with grace and responsibility. Throughout, his love of imaginative worlds and their possibilities shines through, as does his absolute commitment to the sacred values of free speech and human rights. Sam Dastor is a wonderful reader and creates an amazing variety of voices and accents. Great performance! This is a long and lovely listen. Ok, will you "like" this book? Not necessarily but you will be glad you read it. It explores the years and years of Salmon Rushdie's life while he was in hiding from the fatwa. It goes on and on, and he does not hide the truth: he is not a martyr or a perfect man, he is just a writer who crossed he Wrong people. Do you believe in religious fanaticism? Do you know the prequel to 9-11 ? Please take the time to listen to this and think about these very life and death matters. My only annoyance with the otherwise superb narrator was his tendency, when creating a variety of national accents, to make all Americans sound like idiots. Naturally, with a book this long, it was a pleasure to sit passively or attend to the third-person narrative while walking. 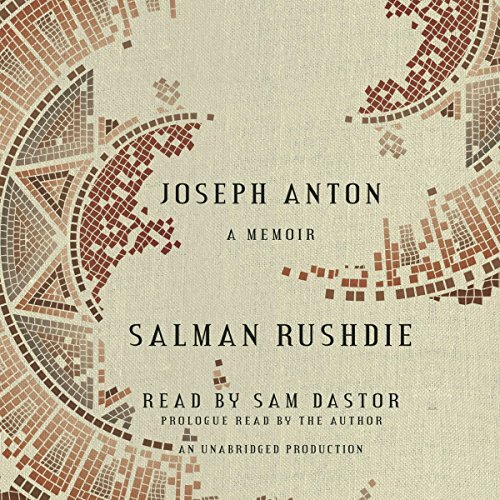 Yes, it's a third-person narrative: Rushdie refers to himself as 'he" -- meaning, of course, his adopted persona whilst hiding from the fatwa assassins as Joseph Anton. Rushdie rarely flatters himself and frequently reveals his weaknesses. As far as food for thought is concerned, the whole memoir seems like a metaphor for a world stripped of logic and common sense. It's a theater of the absurd, potentially and often actually tragic. Men and women act on unreasoned fears, they are victimized by their prejudices and ignorance, and almost nobody knows what's going on or what they are talking about. The book also chills the spine with its enormous specter of religious fanaticism. And for those who believe the victim is too often blamed for the crime, this is wonderful fuel for your argument. I enjoyed this book quite a bit and I found myself constantly stunned by the lengths to which Mr. Rushdie was forced to live for 13 years after the publication of his novel, The Satanic Verses. This book gives the listener a glimpse of what it takes to survive a situation of that magnitude and gravity, and it definitely showed people in their true light, both for good and bad. It still astounds me that a writer of fictional stories could be forced underground based on his story and shunned so thoroughly; don't people around the globe understand what the word 'fiction' is? In my modest opinion, if a story challenges your perceptions, then that is a good thing. If I don't like a book, I know I have the option to put it down. Joseph Anton was a wonderful read and I applaud Mr. Rushdie (who is not without his faults and which he lays bare in the book), for not sitting passively by throughout the ordeal fighting for the ability to lead a relatively normal life. Talk About Sacrificing for Your Art! The memoir is often thrilling, insightful, and beautiful--all the things you'd expect from Salman Rushdie. He is at his best considering the implications of the fatwa, and the larger questions of the artist's role of the documentarian in cultures both hostile and indifferent to art. Rushdie's thoughts on his own work, the origin and inspiration for his novels, are equally intriguing. He is less objective, of course, about his personal life and the narrative sags when he considers the emotional strains on his marriages and his pop-culture "successes" (particularly when they collide in his last marriage; and his association with the Famous Rock Band). 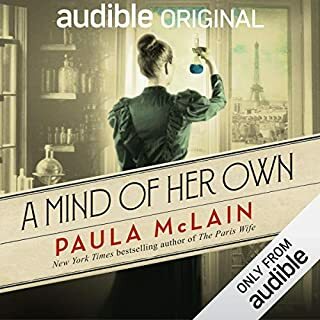 The narrator of this audiobook, when performing the "dialogue" of American "characters," affected such a strange "accent"- - snide parody - - not at all what I experienced on the page when reading and not listening. Was this an actor's choice? Director's? Did this audiobook have a director? 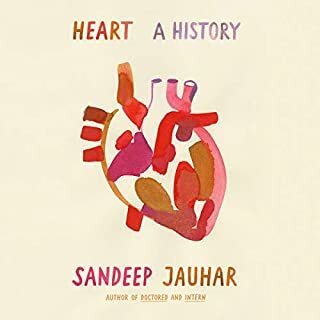 In any case, it snapped me out of the dream of this memorable and fascinating story each time the narrator switch from his sophisticated, Euro-Indian accent to the "Valley Girl/hillbilly" American grunt.